With a highly successful career making partner before the age of thirty, Larisa Moran is now setting a strong example for our students and early grads; particularly young women in the field. 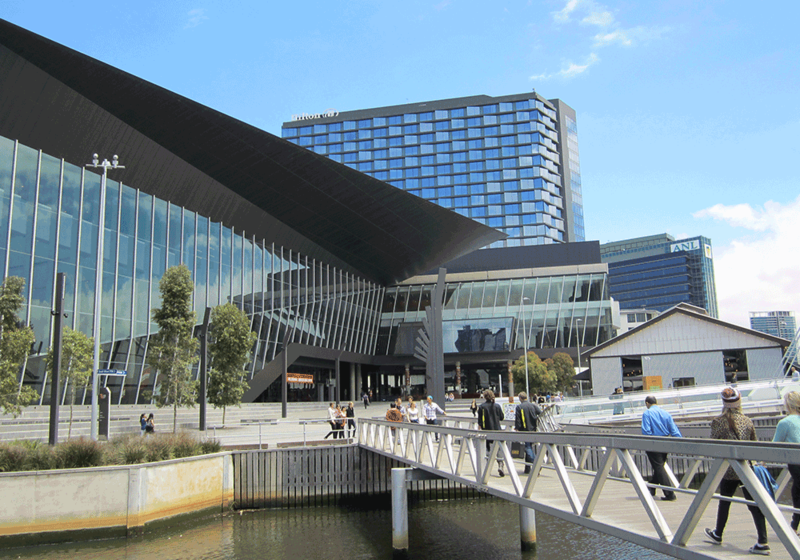 Making an inspired move into the world of architecture, Larisa saw great opportunity in transferring her financial skills to shape the operational infrastructure of leading design firm Woods Bagot and influence the structural requirements to support the company's strong growth. We caught up with Larisa, Chair of the Business and Economics Alumni Council, in the lead up to the Council elections. Tell us how you branched out from traditional accounting roles, and the journey that brought you to your current role at Woods Bagot. Whilst my career began in the world of accounting, tax, and then later superannuation, I spent the more recent part of my career advising clients in areas of business, strategy development and implementation, to expansion opportunities, refinancing activities and succession planning. I was also provided with great opportunities whilst at KPMG, leading projects in the areas of IT procurement, outsourcing to India, and leading the human resources function for my division. So there had been a gradual shift over time from being a technical advisor to a broader business advisor. Being able to influence and make an impact in the areas my clients were really passionate about are the areas of my role that gave me most enjoyment. At some point I realised the work that I was doing aligned to the role of a Chief Operating Officer. So I set out to understand what opportunities might exist for someone with my skills and experience, both technically and also in a broad range of industries. Having spent the last 20 years of my career working in, and being a leader in a professional services firm made the transition into another professional services firm (albeit a different industry), relatively seamless. What role do you play in balancing the creative with financial imperatives, particularly with projects involving million dollar projects and multiple stakeholders in different locations around the world. The transition from accounting into a more creative industry has been surprisingly smooth. To be honest, before I started in the role I mentally prepared myself for what I thought would be a really challenging environment, but I underestimated the extent to which our leaders, who are passionate creatives, have a strong understanding of business fundamentals, and in fact, are eager to understand more. With any consultant or advisor, our primary goal is to please our clients and deliver high quality work, and sometimes the financial overlay can feel like it casts a shadow over these objectives. But if you have strong relationships with your clients, and you operate as partners to deliver the best outcomes, then difficult discussions about fees and paying debts become much easier. What has been your experience as a female at the top of your profession? What is your advice for women in industry, particularly in male dominated fields? I think one of the biggest challenges for women trying to progress into senior roles is to ensure they have profile in an organisation. Often women don’t back themselves enough, and can often be in the shadows. Without an advocate in a position of influence, this can hold women back from progressing in a significant way. One must grasp every opportunity to demonstrate their value and ensure they have a voice. The key is to step out of your comfort zone and take a risk. Often we are so conservative in our view about our own abilities, and afraid to fail, that we miss the chance to really experience all of the opportunities. As the current Chair of the Alumni Council, what opportunities have you experienced being involved in a voluntary role? Volunteering on boards provides an opportunity to bring your own diverse skills and experience to an organisation and assist it with their strategy and governance. In many cases it also gives you the satisfaction of ‘giving back’ to those entities that have helped shape your life. On the flip side, you have a great opportunity to learn about different organisations, industries, social, political and environmental issues, so provides an amazing opportunity to add to your own depth of knowledge and experience. 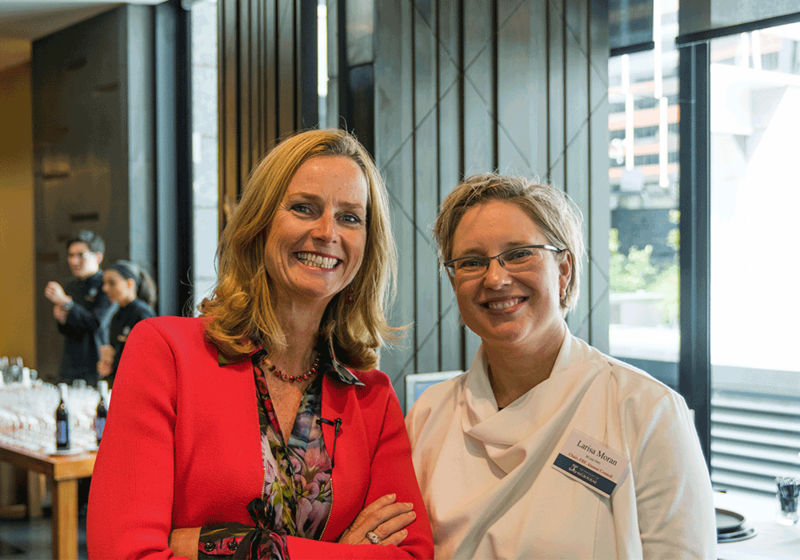 Larisa with Naomi Simson, 2016 Alumni Women’s Lunch. What message would you like to send other alumni in advance of the Council elections? It has been a privilege to represent my fellow alumni on the Business and Economics Council and to work with talented colleagues in supporting the Faculty's mission to maintain a relevant, engaging relationship with its alumni. The faculty’s Alumni Relations team (supported by the Alumni Council) is quite advanced in its programmes and great work is underway to support a vibrant community and deliver activities for alumni to connect with the Faculty and one another all over the world. There is a great opportunity for individuals to contribute their skills and input ideas and initiatives through the Alumni Council, and I invite you to join us at this exciting time to leave your legacy for generations to come. Nominations are now open for the Alumni Council 2017/2018 Term. There are three elected positions available for the 2017/2018 term and all Business and Economics alumni, regardless of location, are eligible to stand for election and to vote in the elections. 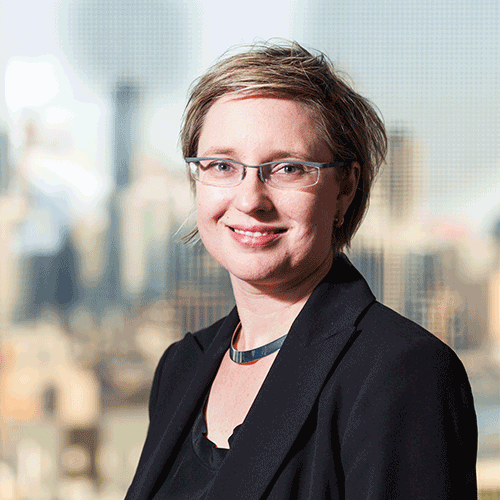 Larisa Moran, (BCom 1994) is COO at Woods Bagot, a People Architecture company. A Chartered Accountant with over 20 years’ experience advising privately owned businesses through complex restructurings, international expansions, financing transactions and strategic business planning, Larisa was previously a partner at KPMG and at Grant Thornton.